The table is set, the banquet prepared. Everything is ready. It is time for the feast. There is only one problem; the guests have decided not to attend. It seems there are more pressing things on the agenda: other things, personal things, worldly things. Each declined, one by one. Yet, even as the guests spurned the invitation, the master vowed that the banquet will proceed; the meal will be served. How often do we sinners decline God’s invitation? How many times do we opt out of worship, Bible study, or acts of service in order to engage in our personal pleasures? Shall we attend, or do we cancel? After all, we have been invited. Our Baptism into Christ serves as the initial invitation. Even in our disobedience, God set his seal upon us. 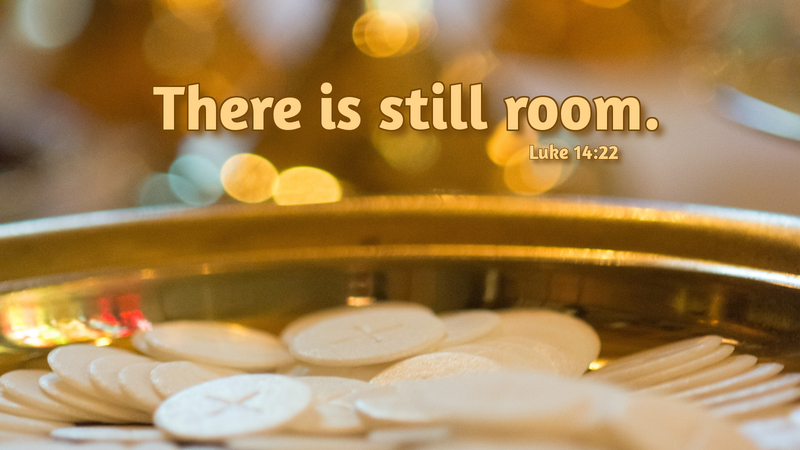 Through Christ, we have a place at the table. Prayer: Feed us at your table Lord, and fill us with your love. Amen. Today’s devotion was written by David Nuottila, Pastor of Union Lutheran Church in Salisbury, NC.